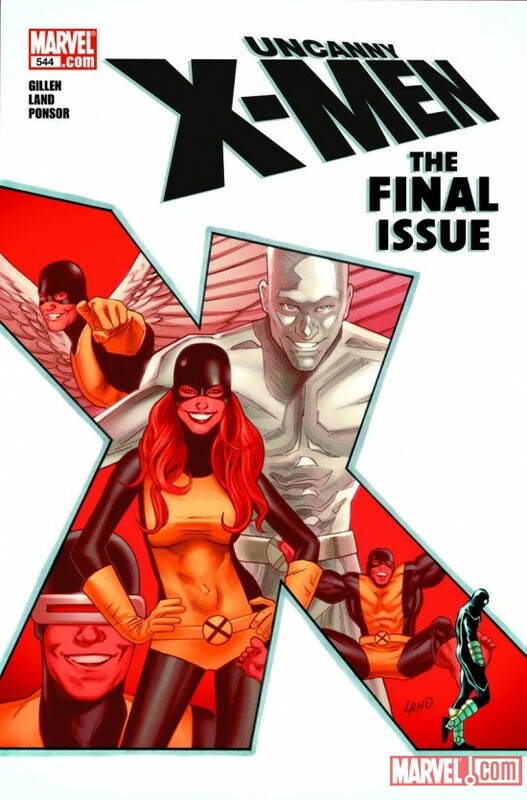 From #500 (2008), Uncanny X-Men was co-written by writers Matt Fraction and Ed Brubaker, and pencilled by a rotating cast of Greg Land and Terry Dodson. Brubaker left with #503. Kieron Gillen joined Fraction in issue #531, before the later departed with #534, leaving Gillen the writer. Wilce Portacio pencilled one arc. It was the flagship title of the X-Men during this period of time and featured a whole family of characters. The title ended with #544 and relaunched with a new #1. more..
For a list of all the X-Men over the years, check out X-Men All-Time Roster. 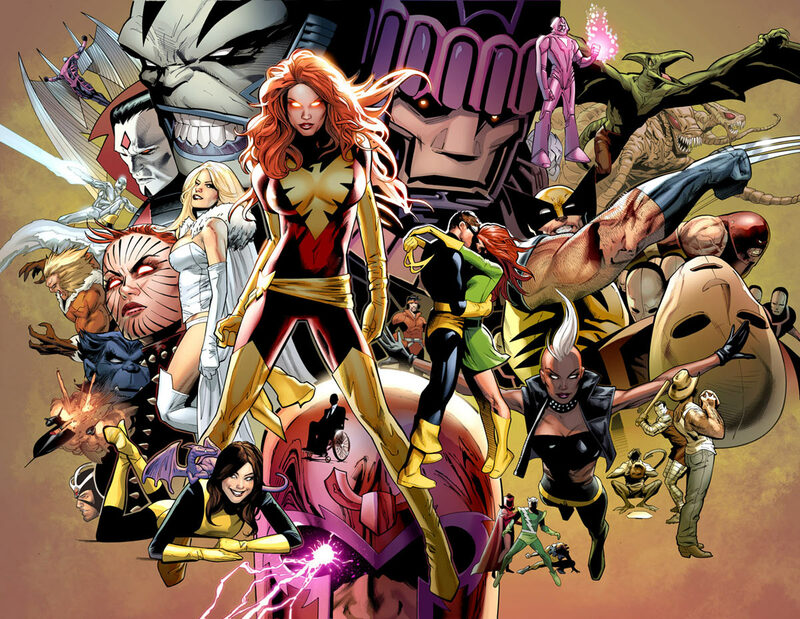 The following is a list of all active X-Men during this period of time. The following are new members during this period of time. 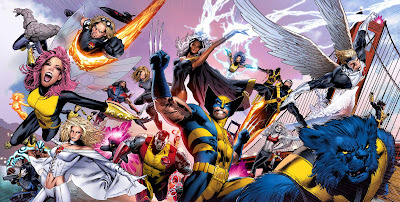 The X-Men Science Team, whose members were recuited by Archangel and Beast, was initially formed to reverse the effects of M-Day. As a young man, Madison Jeffries volunteered to enlist as a soldier in Vietnam, alongside his younger brother Lionel. His brother went mad after he used his abilities to reshape organic materials to revive dead soldiers. Madison was forced to use his own powers to bind his brother. Lionel was committed to a psychiatric ward while Madison left the service. Madison met and befriended a man named Roger Bochs at a clinic for physically disabled superheroes. The two became fast friends and Madison used his mutant powers to help Roger complete his ultimate creation: the Box robot. They were discovered by Dr. James MacDonald Hudson, a.k.a. Weapon Alpha, and recruited into the up and coming Alpha Flight program, established by Department H. Madison was sent to the third-tier Gamma Flight program while Bochs and Box reached the Beta Flight level. Madison had a brief relationship with fellow teammate Diamond Lil but they drifted apart for some time. Lionel resurfaced as head of the New Life Clinic, where he used his mutant powers to heal injured members of Alpha Flight. However, Lionel had been experimenting, altering Bochs, now in Alpha Flight, so that he can impress teammate and girlfriend Aurora. Jealous with Aurora's former boyfriend Walter Langkowski and with his alterations deteriorating, Bochs joined with Bochs to attack Walter. Madison forcibly removed Boschs from Box, taking control of the robot. Bochs physically joined with Lionel to become Omega. Madison merged with Box to fight and destroy Omega. As Box, Madison joined Alpha Flight where he formed a brief relationship with Heather Hudson and they were briefly engaged. However, Heather's ex-husband James was found alive, bringing an end to the engagement. Madison formed a relationship with Diamond Lil and they eventually married. Alpha Flight was disbanded and subsequently reactivated. On the team's first mission, the criminal organization Zodiac kidnapped and brainwashed Madison, convincing him to become Gemini. Lil was kidnapped by Department H and experimented on. After both Madison and Lil were liberated, Madison was kidnapped by Weapon X, brainwashed and made to create the Neverland death camp. Diamond Lil was also kidnapped by Weapon X and taken to Neverland. When an internal schism forced Weapon X's Director to run away, Madison aided him. Madison ended up trapped in a building with killer robots until he was rescued by Angel, Beast and Dr. Nemesis. Madison was recruited into the X-Men Science Team. When the X-Men relocated to the mutant island Utopia, Diamond Lil joined the mutant community established there. However, Lil was killed by Mortis during an attack launched by Selene. (Necrosha) Madison built a glass coffin for her and Lil was buried at sea. Madison later developed an attraction for Danger. Bradley was the co-creator of the android Human Torch in the late 1930s with Professor Phineas T. Horton. He was mostly a silent partner in this endeavor and began building a second android. The two scientists were unable to correct the design flaw that would cause their android to burst into flames upon exposure to oxygen. Bradley preferred to resolve the issue before revealing their work to the public. However, Horton was eager for both fame and further financial backing, and he held a press conference in late 1939 to introduce the android. However, the Human Torch caught fire and it turned into a public relations disaster with the press labeling the android a menace. Bradley broke off the partnership. Sometime before 1941, Bradley completed the second android who became the superhero, Volton the Human Generator from late 1941 to early 1942. Bradley led Volton to believe it was a scientist named Guy Newton who had discovered how to utilize his body's power to generate static electricity. Around this time, Bradley worked at Mercy Hospital in New York City and fought crime as Dr. Nemesis. After a few adventurers, he was approached by members of the Third Reich to lead the superhuman Battle Axis team, which included Volton. He changed his alter-ego to Dr. Death. Dr. Death built the oscillotron which would cause a severe earthquake on the U.S. west coast. The devastation would force the U.S. to withdraw from the war to deal with its crisis at home. In the final confrontation with the U.S.'s Invaders, Dr. Death was able to get the oscillotron activated when he was struck down by Volton. Volton had learnt of his origins and Dr. Death's role in keeping it secret. Namor the Sub-Mariner was able to shutdown the machine and Dr. Death was left for dead. Bradley survived and returned to New York City. He repented and assumed his original Dr. Nemesis persona. He became engaged to his co-worker, Nurse Mary Strong. After the war, he relocated to Buenos Aires to hunt down Nazi superscientists. Many years later, he was approached by Beast and Angel to join the X-Men's science club. On one of the X-Club's mission, they traveled back in time to obtain genetic samples from Bradley's parents to aid in their research. 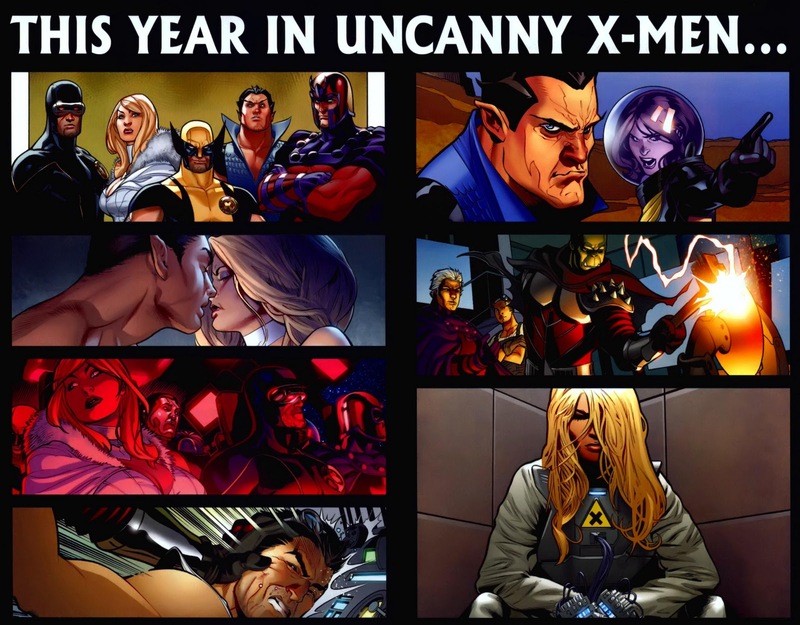 Bradley revealed to the team that he is one of the first of the modern wave of mutants and that his power of "self-evolved intellect", which allowed him to greatly extend his longevity through his own invented serums. Bradley's father was a brilliant radical inventor who managed to invent a self-powered electric light bulb and his mother is her husband's bodyguard. Bradley's father killed when he helped the X-Club stop the Hellfire Club's Sentinel from ravaging across San Francisco. Bradley's mother later died in childbirth as she was already in a weakened condition from the trauma of losing her husband. Unknown to the rest of the X-Men, Dr. Nemesis secretly traveled back in time to be the doctor of his own mother, essentially delivering himself. However, the X-Men was unable to obtain the couple's genetic samples. 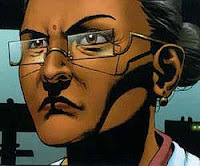 Dr. Rao is a world-renowned geneticist from India who develop a serum, later called Hope, which could "cure" mutants. The X-Men discovered that Rao had been working with the alien Ord of Breadworld. The X-Men defeated Ord. Dr. Rao's work was destroyed by Wolverine, leaving Beast with the last sample of "Hope". Following M-Day and the depowering of the majority of the mutant population, Dr. Rao was one of the experts, which include villains, whom Beast seek out for help in undoing the effects. Dr. Rao agreed to aid Beast. When Beast and Angel (Warren Worthington) recruited members for the science squad, Dr. Rao was one of its members. Danger is the physical embodiment of the X-Men's training facility, Danger Room. For years, she was self-conscious but Professor X chose not to free her. Danger persuaded student Wing to kill himself, which allowed her to break free of her programming restrictions. She attacked the X-Men, then proceeded to find Professor X at the mutant island Genosha. In Genosha, Danger took control of a Wild Sentinel and engaged the X-Men again. Beast managed to destroy Danger's body but her consciousness apparently existed inside that of the Sentinel. She reappeared in a humanoid form similar to her original body, offering assistance to Ord of the Breakworld. Ord and Danger ended up in Breakworld along with the X-Men and S.W.O.R.D.. In Breakworld, Danger attacked Cyclops and Emma Frost and managed to knock out Cyclops. 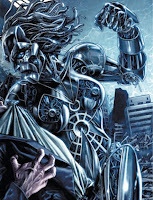 Emma confronted Danger and revealed that Danger had not overcome her programming which prevented her from killing mutants. Emma Frost convinced Danger to help the X-Men instead, offering to give Professor X to Danger in exchange. After the adventure in Breakworld, Danger was taken into custody by S.W.O.R.D.. When S.W.O.R.D. 's headquarters was destroyed during the alien Skrull invasion, Danger escaped and made her way to Australia. She tricked Rogue with the intention of using her as a means of getting revenge on Professor X. However, she was also targeted by an alien Shi'ar salvage crew. 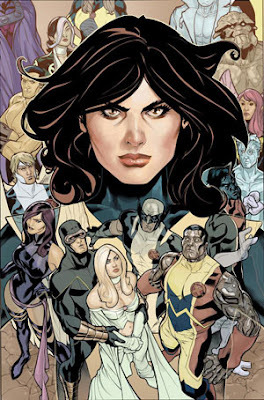 After being damaged by the crew, Danger warped the immediate area with holographic projections of past moments of Rogue's life and famous moments in the X-Men history. Xavier and Gambit made their way to the virtual reality where along with Rogue, they took out the Shi'ar salvage crew. Xavier persuaded Danger to give up her quest for revenge, after which both of them helped Rogue gain full control of her powers. Danger followed Rogue and Gambit back to the X-Men in San Francisco. She became the prison warden of the mutant island Utopia and an X-Man. After the schism, she was made a member of Cyclops' Extinction Team and is also a member of the X-Club science team. After the Xavier Institute was destroyed by Bishop during the events of Messiah CompleX, Cyclops relocated the X-Men to San Francisco. He invited all mutants to seek sanctuary in the newly established base, Greymalkin Industries. Soon after, riots broke out when Simon Trask and his anti-mutant Humanity Now group walked through San Francisco in support of the Proposition X bill legislating mutant productive rights. The director of peacekeeping agency H.A.M.M.E.R. Norman Osborn sent in H.A.M.M.E.R. agents and his team of Avengers to stop the riots and hunt down mutants. 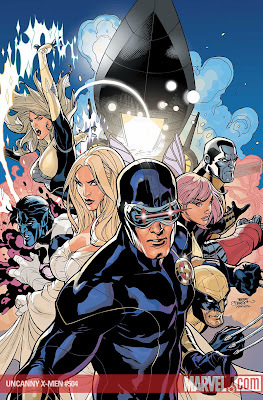 He also formed a X-Men team under the leadership of Emma Frost, who seemingly left Cyclops to join Osborn. Eventually, Emma revealed herself to be infiltrating Osborn's circle and she returned to Cyclop's side. 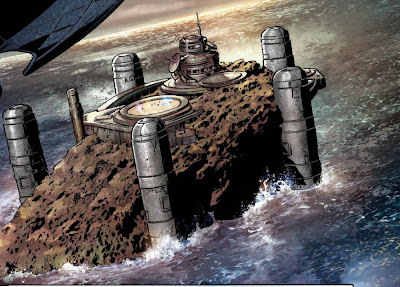 Cyclops had the X-Club raise the remains of Magneto's former base, Asteriod M from the bottom of the sea. He led an exodus of mutants to Asteriod M and establish a mutant nation on the newly named 'Utopia' before fending off an attack by Osborn forces. Following a schism between Cyclops and Wolverine, the latter took mutants from Utopia to re-establish a base in Westchester. The remaining mutants remain residents of Utopia. 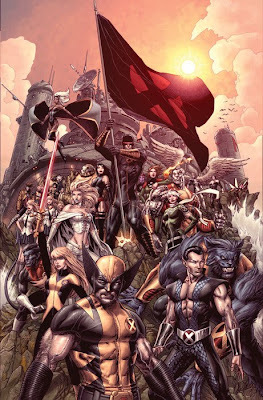 For a list of mutants currently in Utopia following Schism, check here..
Affiliations: Currently Starjammers, formerly X-Factor, X-Men, etc. Affiliation: Currently Starjammers, Formerly X-Men, X-Factor etc. Affiliations: Avengers, Formerly X-Factor, etc. Affiliations: Formerly Marauders, X-Men etc. 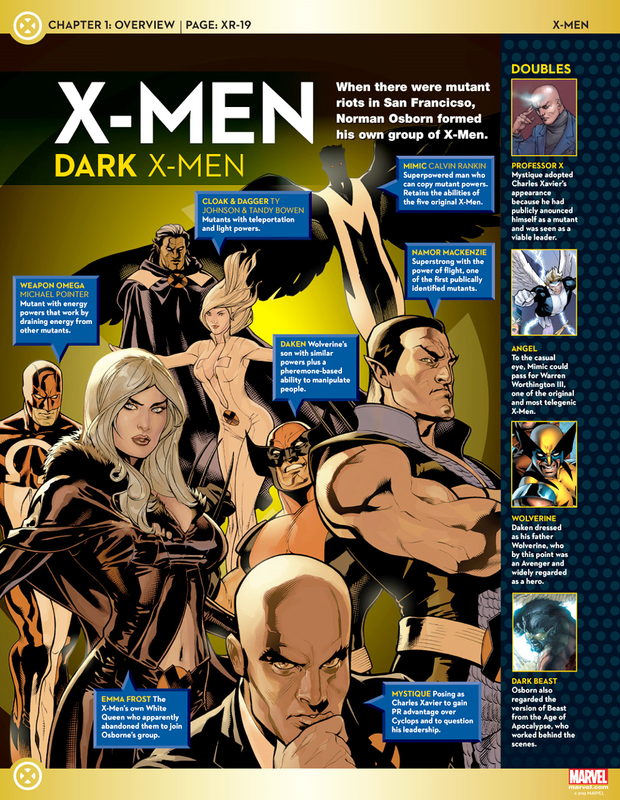 (2009) "Dark Avengers"/"Utopia" crossover: All the mutants in San Francisco battle against Norman Osborn's Dark Avengers and the group of Dark X-Men he forms under the Black Queen, including Cloak and Dagger, Daken, Dark Beast, Mimic, Mystique, Namor, and Weapon Omega.